If you’re dealing with a common small-apartment problem — a bedroom scarcely large enough for a bed, much less anything else. These are some of the best modern interior design ideas we’re seen for tucking away all the stuff that tends to accumulate in a bedroom, and ensuring that your sleeping space will be calm and restful. There are several different approaches in creating an ingenious space for a bedroom of modest proportions. The most straight-forward designs involve clever positioning of the bed, creating a slumber spot in a space that you would not normally consider using for this purpose-or otherwise. Look no further, this list of clever space-saving solutions will give you the best bedroom ideas to use. Bunk beds make full use a rooms vertical space, and make better use of the floor space than a set of twin beds. A bunk with the characteristics of a four poster bed complete with canopy, and transforms into a double decker of day beds during the daylight hours can be a good space saver. Another modern interior design idea to try is moving the bed space up. In this way, you are able to find room for a lot more things. Storage shelves, a clothes rail and even a wash basin find a home under this highshelf-bed; this type of arrangement can be close to the high placed windows which makes it nice for outer view. A sofa can be transforms into a full sized bed especially when the space is indeed small. With the fold up bed, tucked away, it is a spacious living room, and when it is time to sleep, the bed is pulled down from wherever it is kept. This is applicable to studio type apartments where there is no actual separate bedroom. Another modern design idea to try out is fixing a customized bed in a staircase. 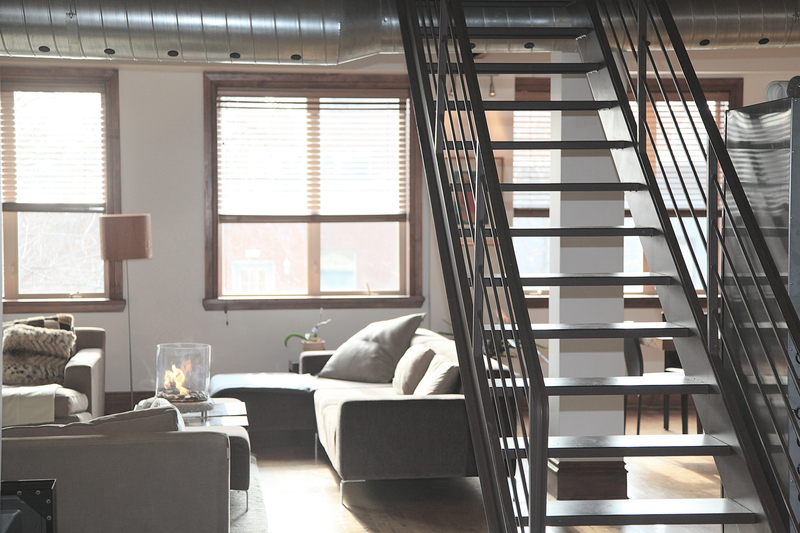 An example of simple space repurposing would be to utilize the unused area under a staircase. The custom made platform bed fits snugly into the under-stair alcove, and the design also incorporates under-bed and over-bed storage that runs straight into the side of the stairs too. After the sun has set, limit your small bedroom’s artificial light to a few small lamps that can be easily affixed to your walls. Your bedroom should be a designated sleep space, which means a soft glow should be all you need to read and snooze. Suspended table is another modern interior design idea to try. This can take care of the stress a standing table may bring. For example, waking up in the middle of the night to use the rest room, one may trip and get injured by the table. Mark Long discusses tips to get how the Modern interior design ideas can come in handy. The tips are also effective in getting professional bedroom design ideas.